What does it mean to be Ummi? It is understood by the Muslims who are familiar with the life of the Messenger of God, Muhammad Mustafa, may Divine peace and blessings shower his soul and may his station be raised higher and higher, that he was unlettered. Traditionally the Messenger of God is characterized as Ummi (an Arabic word) or Unlettered (also means 'One who is from the Mother of the City, Mecca'). Shaykh took out his pen from his chest pocket and raised it to the audience and asked, "Do you know this?" He went on to explain: this is a pen in my hand and on its own it can not write. Only when the pen is in the hand of an author, it writes what the author wants it to write. 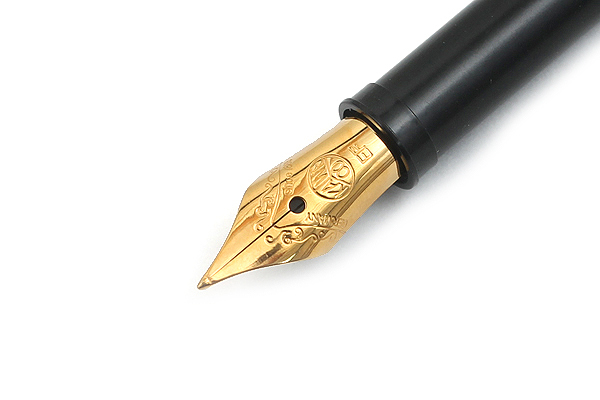 The pen has ink, it is a writing instrument, but it writes only what the owner of the pen writes. The pen is completely surrendered to the will of the writer, it has no will of its own. The pen is not biased, the pen has no projection of its own. Similarly is our Master, Muhammad Mustafa (s). He is completely transparent to the Divine, the Ultimate Author, the Supreme Writer. God protected Prophet Muhammad (s) from being taught by any human beings so that he, sallalahu alayhi was sallam was fully and whole heartedly receiving the Divine Revelation without any bias, without any personal projection to them. Even his speech apart from the Direct Revelations was inspired by the Divine. The Messenger was a conduit of Divine Message, undisturbed, unfiltered. If we use a Zen analogy, this is like the Prophet had no mind of his own to project unto the Revelation so that it could flow flawlessly, without any hindrance or resistance or being clouded by human mind. If anyone try to analyze the Prophet (s) as human being, he will come to the conclusion that he had one of the most brilliant mind in terms of intelligence and ability to foresee and yet he had the beautiful ability and wisdom to know when not to use the mind. And thats his incomparable genius also when it comes to the context of Divine Revelation. So if we understand the analogy of the pen and its relation with its writer, we understand the Ummi-ness or Unlettered state of Prophet Muhammad and his relation with the Lord. In Islam, spiritually speaking, the goal eventually is to become like Muhammad for he is the most praised by God and as human being its a supreme goal to be praise worthy in the Eye of God. That is the entire point of what it means to Follow the Messenger. One who follows, means one who emulate that being and the final result ideally is to become that which is followed. This is a secret, not many understand or discuss. In Islam, the ideal result of following the Beloved of God is to become the Beloved of God; to follow Muhammad, the habib Allah is to become habib Allah. So following that way of understanding, we must also become Ummi to become Muhammad. We must unlearn all the errors, all our psychological makeup, our personality mask, our conditioning, our ego - all. Only when we forget them, and return to our primordial innocence, our natural makeup, our bright mind or no mind, then we become the prefect conduit through which Divine Guidance flows, through which Divine works and plays in this very phenomenal reality. Let us be reminded what happens when Allah makes one Ummi, His Instrument through Which He Writes what He Wills, He Sings what He Sings, He Works what need to be Worked. "My servant draws not near to Me with anything more loved by Me than what I have prescribed upon him through the Divine Laws, and My servant continues to draw near to Me with supererogatory works so that I shall love him. May God help us to become Ummi, so that we are completely transparent to the Divine Action, Divine Attributes, Projection of Divine Effulgence within and with-out of our life. So be it. Ameen. The commencement of the Divine Inspiration to Allah's Apostle was in the form of good dreams which came true like bright day light, and then the love of seclusion was bestowed upon him. He used to go in seclusion in the cave of Hira where he used to worship (Allah alone) continuously for many days before his desire to see his family. He used to take with him the journey food for the stay and then come back to (his wife) Khadija to take his food like-wise again till suddenly the Truth descended upon him while he was in the cave of Hira. The angel came to him and asked him to read. The Prophet replied, "I do not know how to read. O Allah Bless your beloved Muhammad and his family and his companions and include us among those who love him and yearn to be with him. Technology of the Heart: What does it mean to be Ummi? Prophet Muhammad is known to be Unlettered or Ummi in Arabic. What does it mean to be Ummi or unlettered?